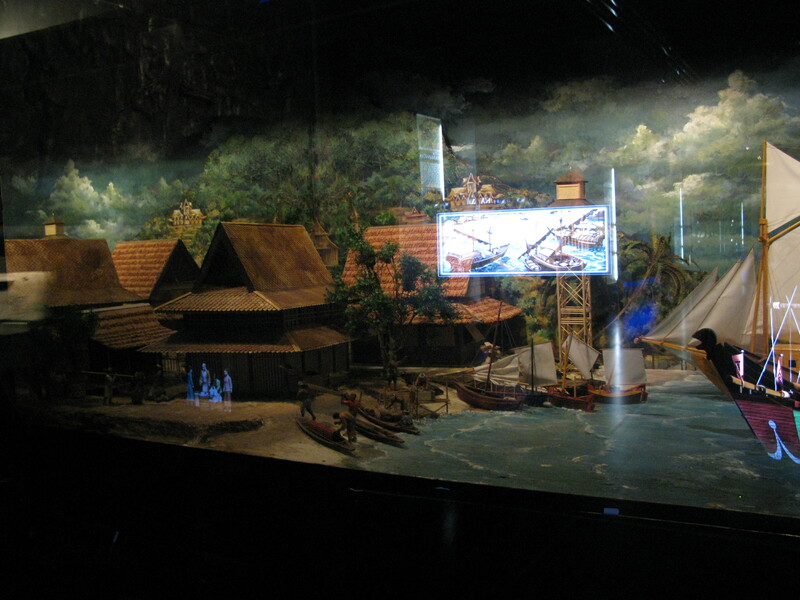 MV guided tours at Muzium Negara are free of charge. There is no need to pre-register for scheduled tours, just wait near the museum ticketing desk a few minutes before the tour is scheduled. The tour will take approximately 45 mins to an hour. everyday except Sundays and public holidays. An additional tour is available every Thursday at 2pm. Tours are available on request. 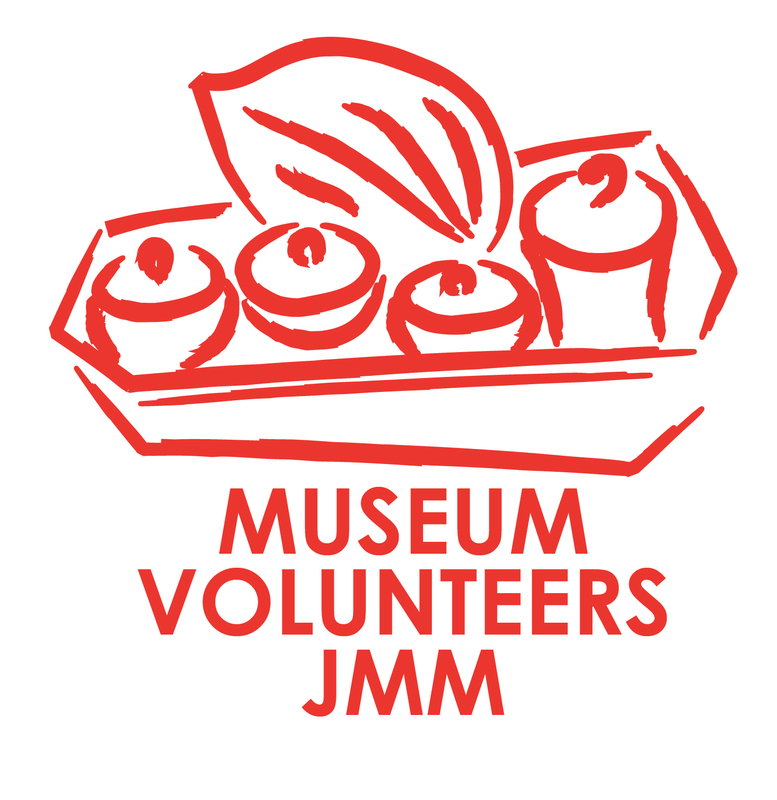 Please email mvjmmqueries@gmail.com with a two-week notice. Available on request. Please email mvjmmqueries@gmail.com. Two weeks advance notice is required. Special tours can be arranged for Embassies, Organisations, and Schools. Please email mvjmmqueries@gmail.com for further details. Two weeks advance notice is required. Muzium Negara is located in the heart of the city of Kuala Lumpur and set amongst a neighbourhood of historical buildings and romantic parkland. Muzium Negara’s architecture is a fine blend of traditional Malay style and modern lines. 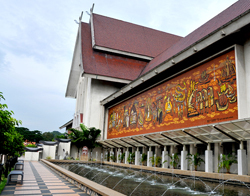 The museum building, apart from being stimulating from the point of tradition also presents a panoramic view of the development of Malaysia, as depicted by the two large murals of Italian glass mosaic, which extend across the museum’s façade. Muzium Negara was officially opened on 31 August 1963, on the site of the Selangor Museum, which was accidentally bombed during the Second World War. The main museum building houses four exhibition galleries featuring Malaysia’s history and rich cultural diversity. Gallery A The Prehistory Gallery showcases the formation of the Malay Archipelago with findings of numerous important prehistoric archaeological sites in Malaysia. An example is Kota Tampan, a pebble tool production workshop with the latest findings dating it to about 75,000 years ago. 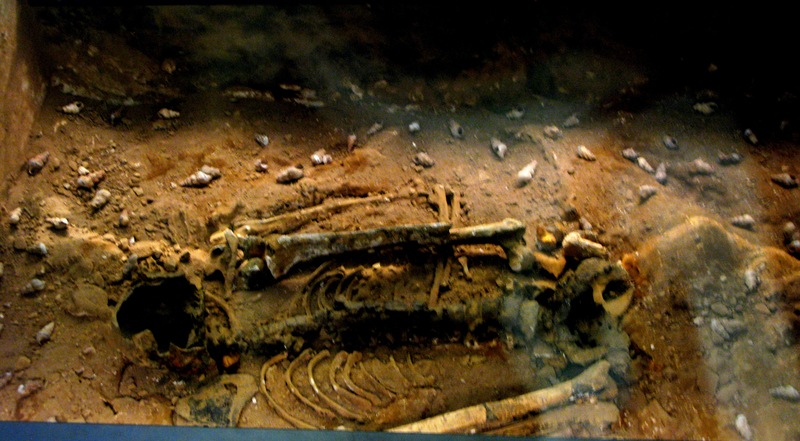 A highlight among the exhibits is a complete skeleton of the Perak Man dated 10,000-11,000 years ago. Gallery B The Early Malay Kingdom Gallery features the existence of the Malay States and highlights the zenith of the Malaccan Empire during the 15th century as centre for the spice trade and the proliferation of Islam. Malacca was known as the ‘greatest emporium the world has ever seen” and a “Golden Chersonese .” It is an anthropologist’s delight due to its astonishing diversity of people, cultures and images. Gallery C Colonial Era The fall of Malaccan Empire in 1511 to the Portuguese was the start of 446 years of foreign influence, from the Dutch, British and then Japanese. In the Colonial Era Gallery, the visitor is able to observe the influences that have molded the development of the nation during the 19th century. Alongside the exhibition texts are displayed weapons, ceramics, shipwreck porcelains, coins and paper currencies, medals and decorations, a model of a tin dredge and tin ingots. 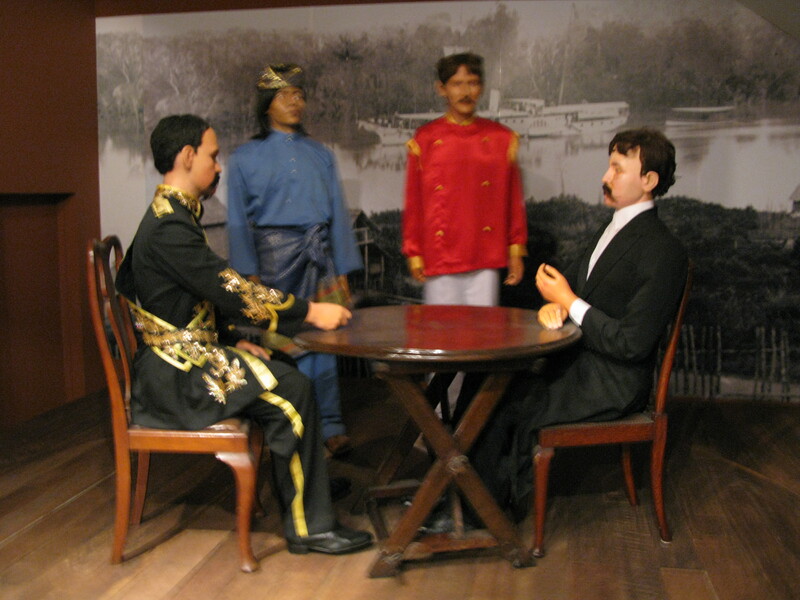 The masterpiece exhibited in this gallery is the Pangkor Treaty Table used by the Malay Sultan and the British to sign the Pangkor Treaty of 1874. Gallery D The Malaysia Today Gallery brings visitors to the sights and sounds of the Road Towards Independence. It begins with the nationalistic movement of the 1940s to the glorious achievements of Malaysia today. The gallery provides an insight for visitors, with a knowledge and understanding of the changes and continuity of Malaysia from the 1930s to a dynamic and progressive Malaysia today. It is quite user-friendly and pleasant to read. Please correct the typos, especially serious ones regarding our nation and facts, like in the section above for Gallery B, it should be Chersonese instead of Cherosene. Many thanks for your mail and for pointing out the typo in the Gallery B where Cherosene is written insted of Chersonese. You mention that there are some serious typos on the site, please could you tell me where these are, so that I can correct them. Nice! All the best to you.